Leah Purcell and Bain Stewart. 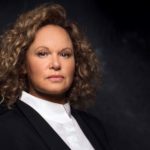 This year is shaping as the most memorable and action-packed in the 20-year-career of Indigenous writer-director-producer-actor Leah Purcell. 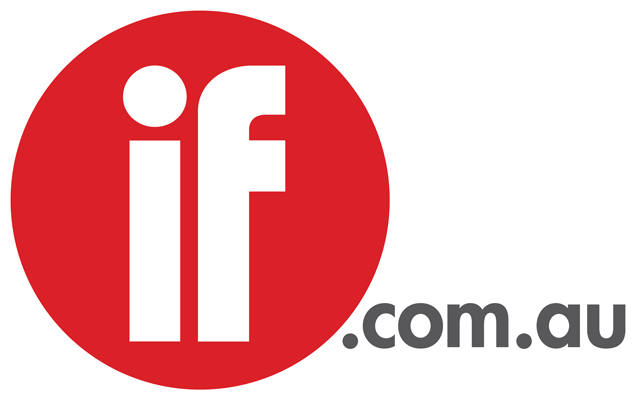 After focussing on acting for the past few years she has signed on as the start-up director of My Life is Murder, the 10-part mystery-drama starring Lucy Lawless, commissioned by Network 10. That assignment will help her prepare for her biggest project: directing, co-producing, writing and starring in The Drover’s Wife: The Legend of Molly Johnson, the feature film adaptation of her play ‘The Drover’s Wife’ in September. Later this year she will return to the TV screens as Rita Connors in season seven of Foxtel/Fremantle’s Wentworth and she will embark on season eight after the movie wraps. 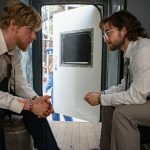 Penguin Random House has commissioned her to write a novel based on the play, which will be published in mid-2019, and the producers are also developing a TV series spin-off. She readily accepted the My Life is Murder gig for two reasons. One was her desire to collaborate with Lawless, a case of mutual admiration as the Kiwi star/executive producer had admired Purcell’s work in directing Cleverman and her performance in Wentworth. Produced by CJZ, the series is scripted by Ainslie Clouston, Matt Ford, Monica Zanetti, Peter Gawler, CJZ head of drama development Claire Tonkin, Paul Bennett and Chris Hawkshaw, led by Tim Pye. Lawless stars as Alexa Crowe, a fearless PI who solves the most baffling crimes as well as coping with the frustrations of everyday life. “Leah is bringing a fantastic energy to the process,” says CJZ’s Nick Murray. 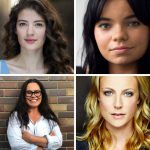 Purcell made history as the first-ever Indigenous female set-up director on a TV drama for an Australian commercial network with Screentime/Seven Network’s The Secret Daughter, which starred Jessica Mauboy. She will play the title role in The Drover’s Wife: The Legend of Molly Johnson, a revenge Western inspired by her play which is a re-imagining of Henry Lawson’s short story. Purcell and her producing partner Bain Stewart’s Oombarra Productions will produce with Bunya Productions’ David Jowsey and Greer Simpkin and Monumental Pictures’ Alison Owen. Stewart tells IF: “2019 promises to be a big year for Leah and me. It almost feels like the stars are aligning and we are really going to start seeing the fruits of this 20-year journey we have been on. Stewart and Purcell are thrilled with the growing momentum for Indigenous screen creators, reflected by multiple wins at the AACTA Awards for Warwick Thornton, Wayne Blair and Steven McGregor. They were gratified by the responses when they met with executives at Amazon Prime, Fox Searchlight, Endeavour Content and Netflix’s film and television divisions on a visit to LA as part of Screen Australia’s Indigenous screen delegation. “The greatest challenge we have is finding Leah the space and time to capitalise on all this attention and excitement and build a company that can work across all these streams,” he says. 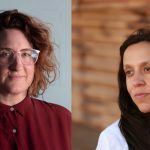 “Now there is the opportunity to bring all these threads together and build a business that is driving Indigenous content, working with people we want to work with, and bringing new voices through.